Have you heard the buzz about flotation therapy? This incredibly rejuvenating spa service is quickly gaining in popularity, and for good reason. Some studies have concluded that just an hour in a float lounge is as restorative as four hours of deep sleep and equivalent to a three-day detox program. Sound good? Radiance Day Spa is your go-to source for relaxing flotation sessions in Sioux Falls and we would love to speak with you! Call us at 605-385-0065 to book your appointment and check out some flotation therapy FAQs below! Floating is a form of therapy that provides individuals with incredible levels of relaxation, promoting an enhanced sense of well-being and tranquility. 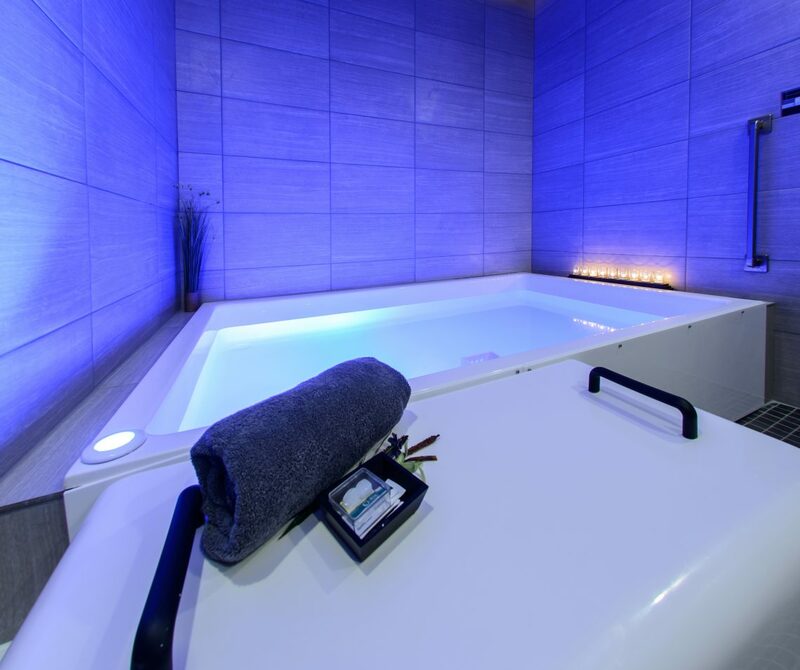 The temperature of the water in the float pool is the same as your body, and the water has been treated with therapeutic Epsom salt. The specially treated water provides individuals with key nutrients, provides detoxification, and sedates the nervous system to allow your body to relax and regenerate itself. What Benefits Does It Provide? From reduced levels of stress and anxiety to natural pain relief, the benefits of flotation therapy are virtually endless. It can help you recover from injury, enhance levels of creativity, and it has also been used as an alternative treatment for addiction. Our team is happy to discuss the full range of benefits that come with this spa service to determine if it is right for you. I’m Claustrophobic — Is Flotation Therapy Right for Me? If you are uncomfortable in small, confined spaces, you may think that flotation therapy isn’t the best spa service for you. However, this couldn’t be farther from the truth. Although the float tank is small, you are in complete control and you can get out at any time. Floating provides an absence of space, time, and sensation, making it difficult to feel claustrophobic while you float. Is Flotation Therapy Safe for Pregnant Women? Flotation therapy is absolutely safe for pregnant women. In fact, the weightlessness that the float tank offers often provides women with relief from the aches and pains that are commonly associated with pregnancy. However, your safety is our number one concern. As such, if you are pregnant, we ask that you get medically cleared by your doctor before entering the float pool. How Can I Get the Most Out of a Float Session? Relaxing is key to ensuring you get the most out of your float session. For your convenience, we provide ear plugs that help eliminate any unnecessary distractions while you float. It is also important to give yourself plenty of time before and after your appointment. You don’t want to be rushing in and out, as this can counteract the therapeutic effects of floating. Our meditation room and lounge amenities provide the perfect setting for calming and centering yourself prior to your session, and we offer many spa services that are designed to complement your float session. 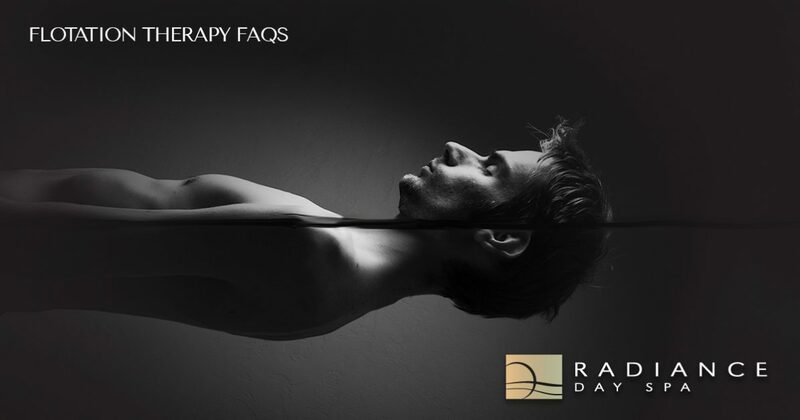 Are you ready to experience the amazing benefits that are associated with flotation therapy? If so, contact Radiance Day Spa today to book your session. Just an hour in our Renew Float Lounge can leave you feeling like a new person, and the benefits only get better with regularly scheduled sessions. Contact our Sioux Falls Day Spa today to learn more!